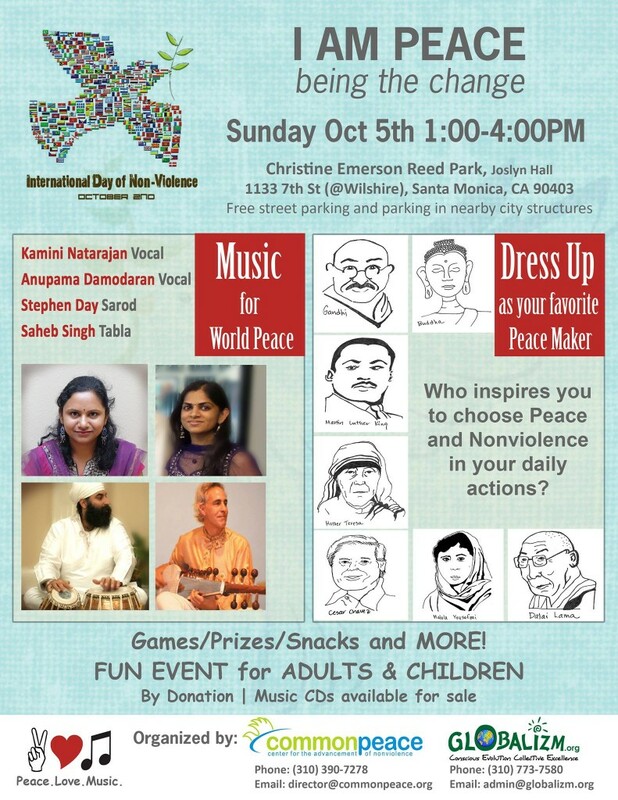 In Observance of OCT 2ND | INTERNATIONAL DAY OF NONVIOLENCE,Common Peace & Globalizm.org invite you to a Peace Makers Party! Free street parking and parking in nearby city structures. DRESS UP as Your Favorite Peace Maker! Adults and children alike, dress up and be a peacemaker! Who inspires you to choose peace and or nonviolence in your daily actions? Games, Prizes, Snacks and MORE…. Join this facebook event for event updates. Invite your friends, and bring your children!